RBE Plus Browser for iPad enables you to browse the results of RBE Plus analyses on your iPad. RBE Plus analyses the business configuration and usage of SAP systems. Enabling companies to gain an overview, RBE Plus facilitates navigation of analysis results from a broad view across all processes to a fine view at configuration level. Detailed insight into the usage situation, in particular the processes “actually used”, is obtained by the RBE Plus Analyses and its ability to collect vast quantities of facts. Qualified RBE analysts can then examine the SAP usage situation selectively, systematically uncovering potential for improvement. The analysis scope can be broadened or narrowed to suit the specific project scenario at hand. IBIS Prof. Thome's primary aim is to develop and improve methods, software tools and services necessary to continually enhance the integration of organization and information processing. Its second most important initiative is its project work, specifically methods and tools coaching, in which the developed methods and tools are implemented and applied toward problem solving. In order to use this app you need to download an analysis project. RBE Plus customers can get the online access for the download during the delivery of the project results. In order to get access to a demo project please fill in the contact form on our homepage. You can reach it with the button ‘App Support’ to the left. You will then get demo credentials within 24 hours. 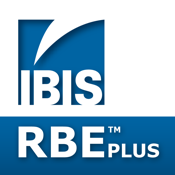 Please feel free to ask us for further information, we are pleased to help you getting access to the RBE Plus Browser for iPad.